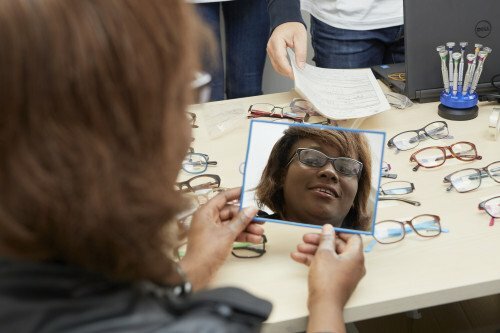 A group of nonprofits in Paris combined their strengths last week to offer an exceptional day of vision care to women from underpriviledged backgrounds in the Paris region. 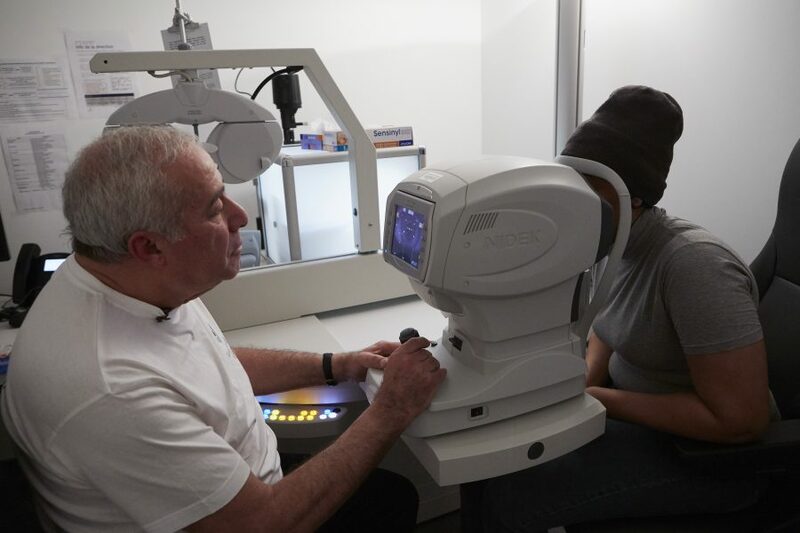 It is the latest initiative being driven by the Vision For Life fund, created by Essilor, in partnership with the Fondation Ophthalmologique Adolphe de Rothschild. 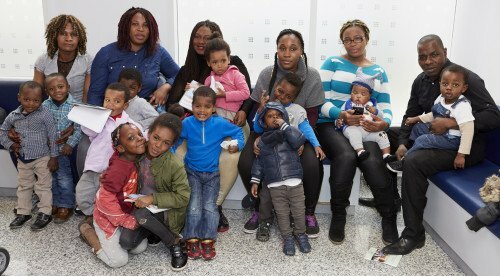 In October 2015, the partnership between the Fondation Ophthalmologique Adolphe de Rothschild and Vision For Life, Essilor’s social impact fund, was announced, creating a special system to enable over 4,000 individuals from disadvantaged backgrounds to benefit from free vision services at the Foundation’s ophthalmology center. In a first-of-its-kind event last Saturday, a group of nonprofit organisations and volunteers came together to welcome 80 women to the center. The enrollment process was managed by the nonprofit organizations Secours populaire français, Samusocial de Paris, Emmaüs Solidarité, the French Red Cross and the association Aurore. 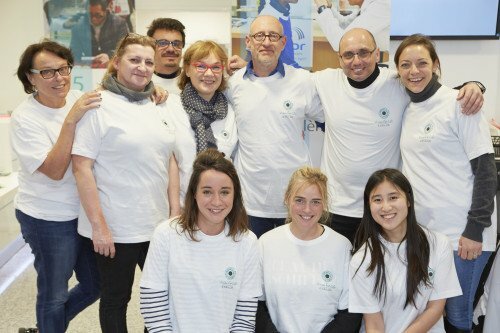 Volunteers from Essilor joined ophthalmologists, ophthalmology students and members of the French association Vision Solidarité Développement to test the women’s vision. In addition, participants had a special treat in the form of a make-over, with free advice from two professional make-up artists. And since women often put off tending to their own health because they are too busy looking after their children, Essilor volunteers entertained the participants’ children whilst their mothers tried on spectacles or received beauty tips. This was far beyond my expectations for this day. And my kids seem to enjoy it too! “I really enjoyed this day! As a full time working mum with kids, I normally don’t have time to take care of myself. Thanks to the volunteers who looked after my kids, I was able to do both, get my vision tested and receive some make-up tips. And I was even given a pair of free reading glasses. This was far beyond my expectations for this day. And my kids seem to enjoy it too!” said Sabine, mum of a one and a three year old girl. A staggering 80% of the women required vision correction. Some were equipped on the spot with eyeglasses, while others with more complex prescriptions will receive their spectacles in the coming weeks. 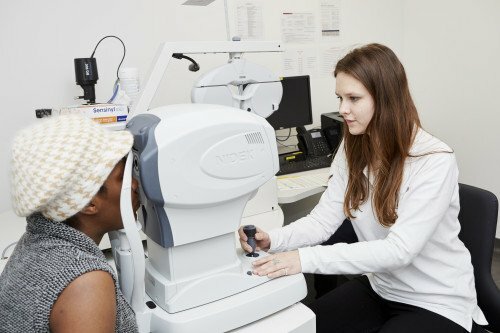 Another ten participants will undergo additional tests conducted by the health center Edmond de Rothschild, and will be provided with eyeglasses through the special “PASS-O” system sponsored by Vision For Life. I was surprised to see the high interest of women in getting their vision tested and I am glad I can share my knowledge with them and make their lives a bit easier. New initiatives are in the pipeline for this health center dedicated to universal access to quality vision care for communities who have difficulty in getting eye care services. They will be dedicated to children who make up one fifth of the 5 million people in France that currently have uncorrected poor vision due to lack of access to appropriate treatments.